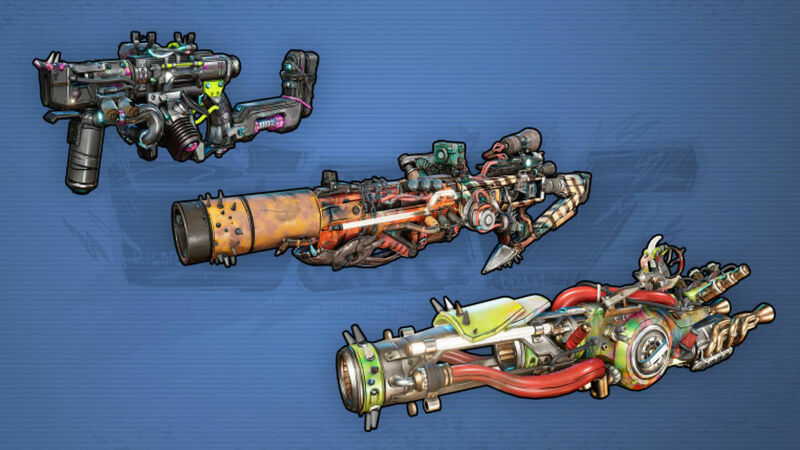 Borderlands 3 weapons promise to expand on the series’ most celebrated loot items with new fire modes, new and returning weapon manufacturers, and a total of one billion gun variations. 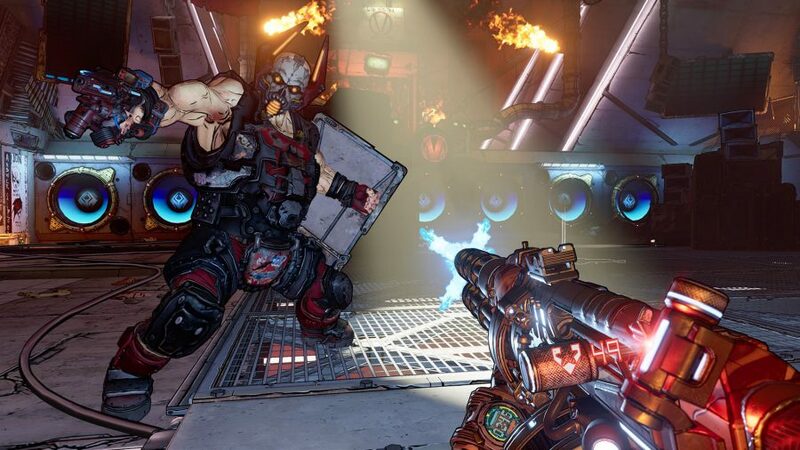 From the Borderlands 3 gameplay we’ve seen so far, it’s safe to say that Gearbox has exceeded expectations of its gunsmithing – you can spot everything from guns with legs to weapons that spawn in lava-spewing volcanoes.Don’t worry if you prefer the thunderous rumble of a double-barreled shotgun or the incessant chattering of an SMG, as we’ve spotted plenty of those, too. In the first two Borderlands games, your arsenal is the primary means of improving your character build and crafting a more efficient Vault Hunter, so it stands to reason that weapons will be just as important in Borderlands 3. 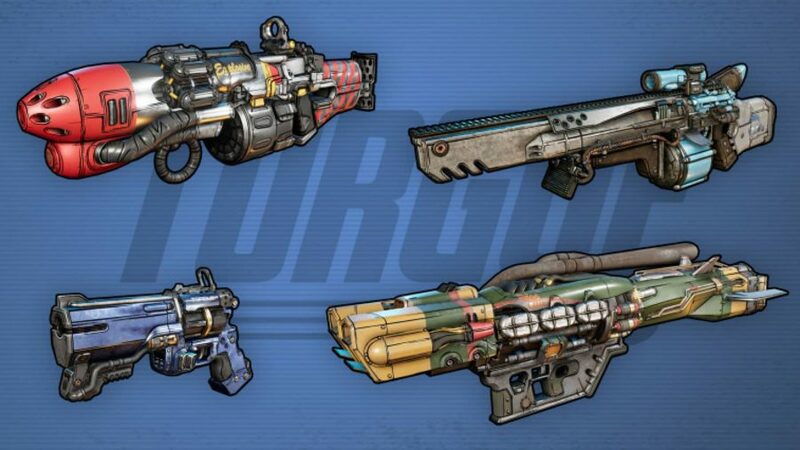 How many Borderlands 3 guns are there? 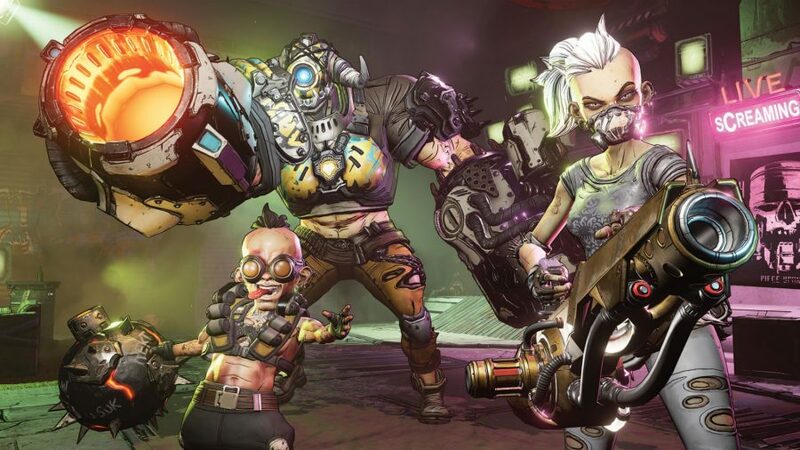 The number that’s been touted in trailers is pretty absurd: Borderlands 3 will have one billion guns. 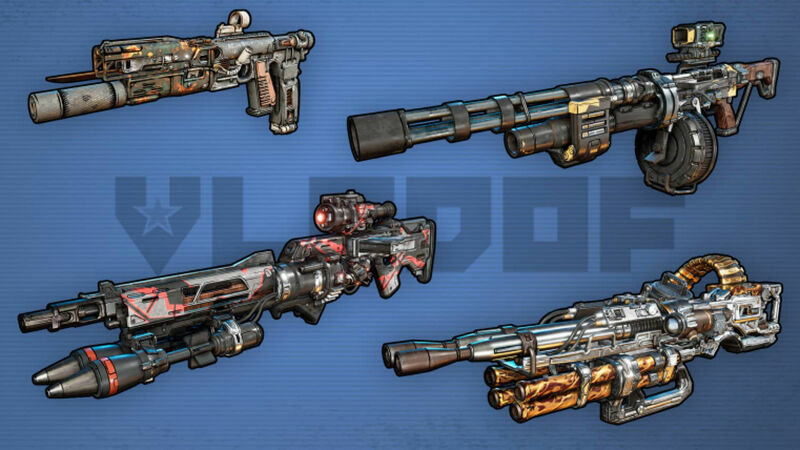 In case you’re not used to dealing in such high numbers, that’s roughly 57 times the number of weapons that Borderlands 2 launched with. This is all about ballistic damage and taking down squishy foes with ease. Expect high damage with Jakobs weapons, but not against shielded enemies. We’re yet to see this in action, but it sounds a lot like we’ll be able to fire these around cover or enjoy some aimbot-tier accuracy. This sounds very, very cool. Our best guess it that this means faster reloads, but also that the tossed weapon may well continue dealing damage as it pursues foes. This is slightly different to how Tediore weapons work in Borderlands 2, where the tossed weapon simply deals damage like a grenade based on how much ammo you have left in the mag before ditching. Higher accuracy the longer you fire, not to mention shields while aiming – not bad. 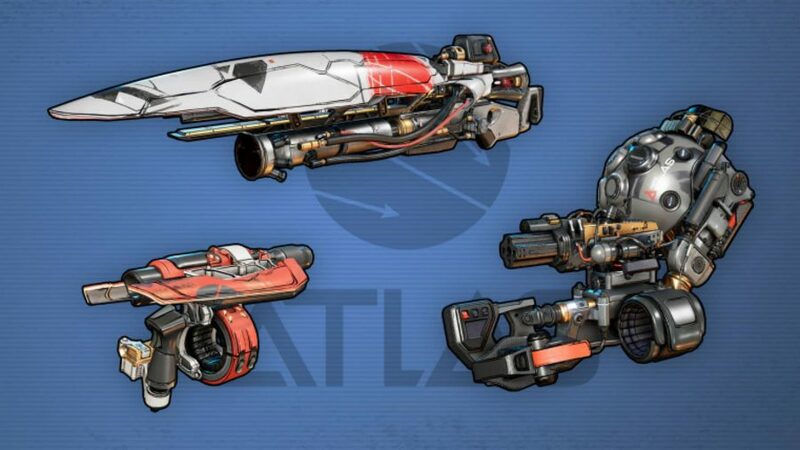 Hard to guess how this will work or if it will be any different to the way Dahl works in Borderlands 2, where weapons are burst-fire when aiming down the sights, and semi-automatic or fully automatic depending on the weapon when firing from the hip. This is the fun one as these attachments promise to add a lot more unpredictability to loot rolls. 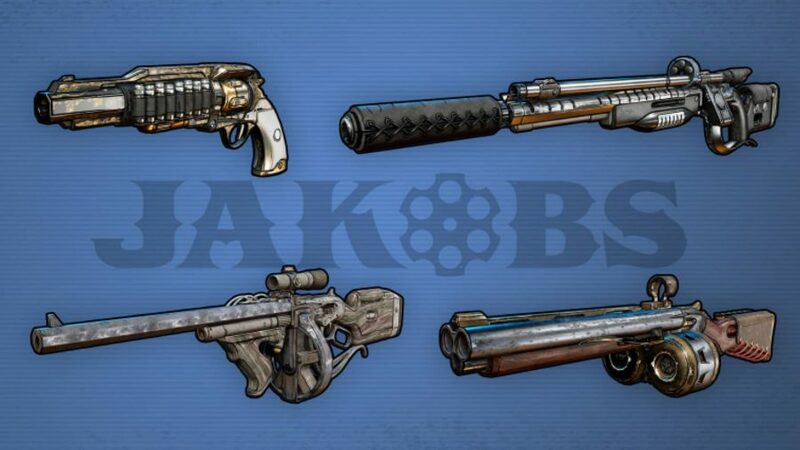 This is also a more interesting gimmick than in Borderlands 2, where Vladof guns simply equal high rates of fire. This sounds like a primer and detonator combo, which should prove very powerful against bosses and tanks. 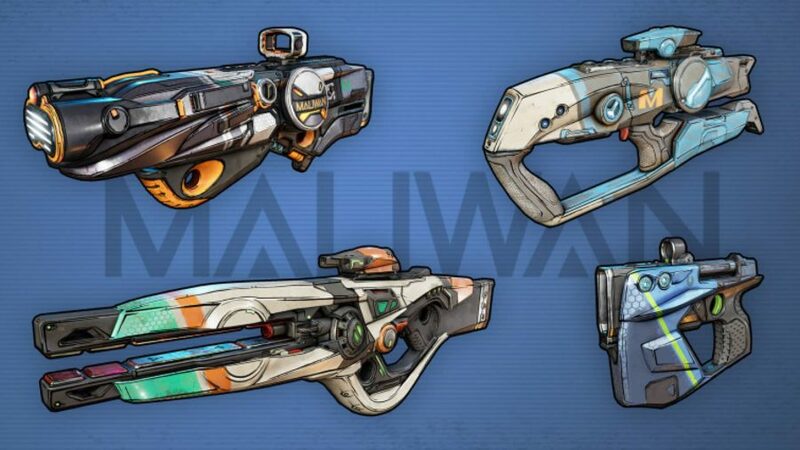 This is a more elaborate version of the Maliwan trait in Borderlands 2, with guaranteed elemental damage allowing for some powerful theorycrafting in the right hands. This is a new trait and brand manufacturer, which supposedly replaces the Bandit brand. Seems like we can expect belt feeds on most of these guns in exchange for some temperamental cooldown issues. 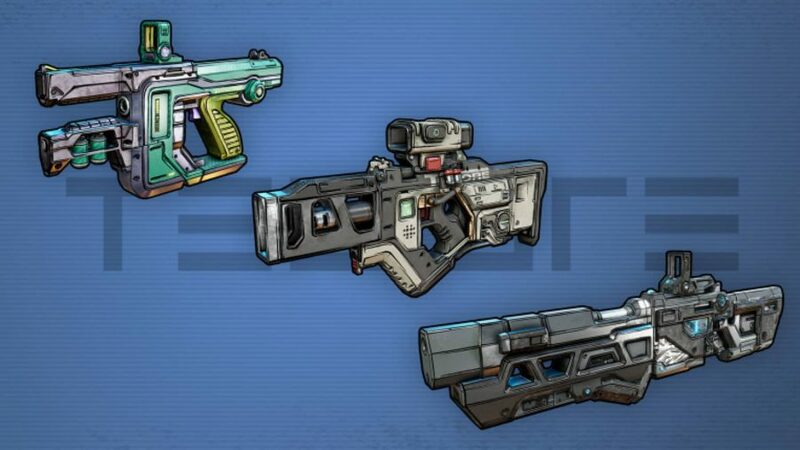 It’s worth noting that Borderlands 2 also features unique weapons that drop from tough bosses or named enemies, which were always either blue or or purple. 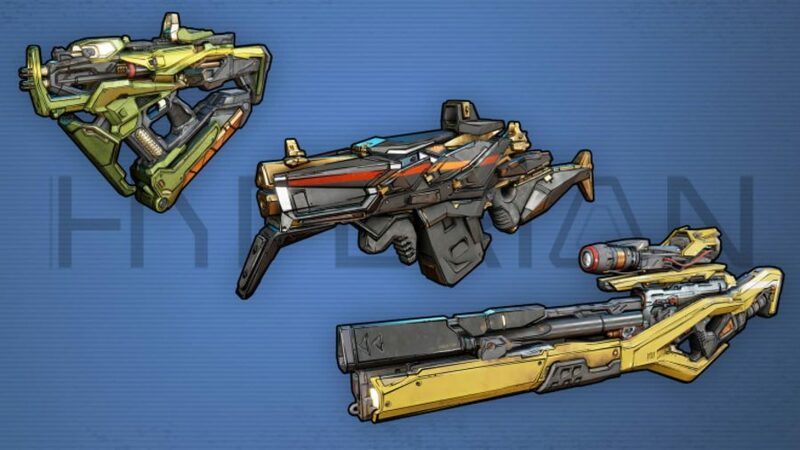 In addition, Borderlands 2 also features magenta and pink weapons that represent E-tech and Seraph weapons – we couldn’t spot any in the trailers so the jury is still out as to whether these weapon types will appear in the sequel.